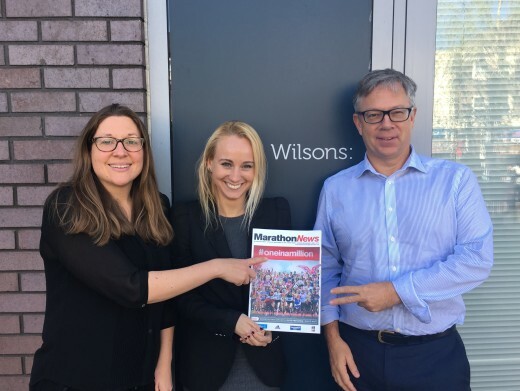 On Sunday 24th April three of our lawyers will be running the 26.2 miles that is the London Marathon. Matthew Davies, partner in the Immigration Department, Michelle Flynn, partner in the Family Department, and Rachel Wood, a trainee solicitor in the Family Department, make up the Wilsons team for this iconic event. Michelle is running to raise money for the National Autistic Society; “Most that know me, know that my passion is working with children. I am a family solicitor in Tottenham and meet lots of very special children during the course of my everyday work. I also have personal experience of children with autism. I’m taking on this challenge to not only raise money for the NAS but to raise awareness for the many children, adults, and families that are living with autism. We are also seeking to raise awareness of families that are in crisis and are desperately seeking proper support and care for their loved ones”. Any support you can give would be greatly appreciated. And Rachel is running simply because she is a fantastic runner and has a championship entry place. She ran the London Marathon last year in 3 hours and 3 minutes coming 118th in the women’s marathon! She is much faster than Matthew or Michelle. But you never know – they may be close behind. We wish all three of them the best of luck.